It works well on cats, large birds, waterfowl, wildlife, and small to medium sized dogs up to 50 lbs.. Sometimes, netting an animal may be the only solution to capture it. 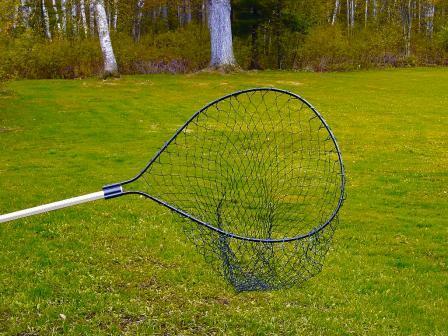 Our Mighty Net is a great tool for your arsenal of trapping tools. Quality-Durability-Performance. Three proven characteristics that exactly describe the Mighty Net. Field tested, and performance proven in the hands of professional wildlife and animal control professionals. This net sets a new standard for strength, durability, and professional grade performance. Note: Due to large size box, product must ship OVERSIZE and uses Dimensional weight.